Does your home feel a little dreary and dark? Would you like it to look brighter as you enter a room? There are a host of things you can do. Let us look at some of your options. The key decision is whether you will work with the light that presently enters your home or whether you wish to do renovations to change the windows and/or doors. Even if you intend to do some renovations, some of these ideas may well be helpful once the renovations are complete. This project is something you may not have thought about but is often an innovative way to create more attractive internal spaces. At the very least it will better use the available light. In most cases, you will end up with a much more attractive home arrangement. Clearly this project should only be undertaken by someone who knows what they are doing. The door facing out to your backyard gives you the best opportunity to improve the natural lighting in your home. Unless that door faces north, you will benefit from sunlight for several hours a day. That may be the sun as it rises, or full sun during the middle of the day or gorgeous sunsets: they’re all good. At the same time, you in no way sacrifice your privacy. 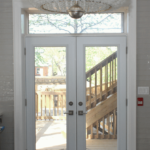 If you want to install new glass doors, then you have two choices. Sliding patio doors are convenient and you do not lose space to allow them to open. You can have a clean design giving a large glass surface with a minimal frame. If you need to block the sun at times or wish to have privacy, then you can even have mini-blinds inside the double glass sealed unit. On the other hand, if you have the room to open them easily, classic garden doors provide a great way of getting to the outdoors. Unlike your garden doors, where you can maximize the light coming in, considerations of privacy and security limit what you can do with your front door. However if you are considering a new front door, there are a number of ways you can bring in more light and make your entrance appear more spacious. Doorlites are decorative panes of glass of varying shapes and sizes that are inserted within the door panel. They can be at the top or middle of your new door or even be full sized glass. They provide light to the interior and come in a variety of glass designs dependent on the privacy level you prefer. 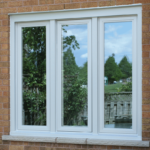 Sidelites are decorative vertical windows located along the side of a large door frame or a window frame. Here again they can be designed so as to maximize the incoming light and minimize what visitors to your front door will see. Transoms are decorative horizontal windows that are located above the frame of a large door or of a window. 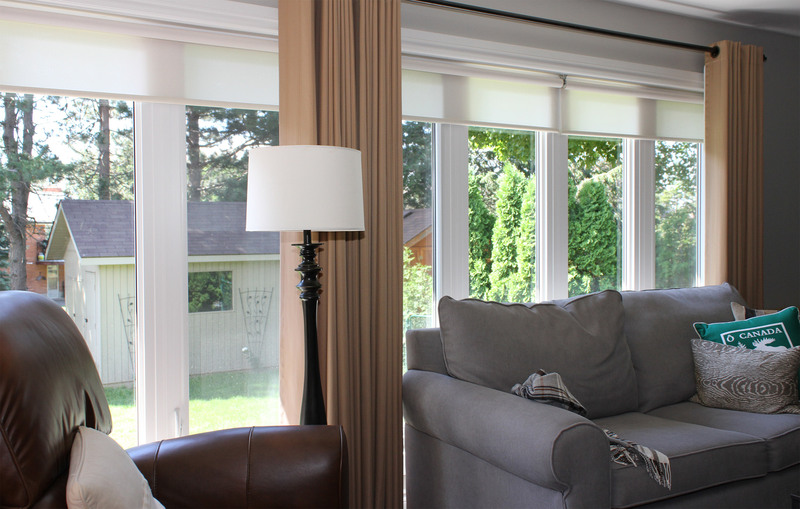 They are ideal for maximizing the incoming light while avoiding any problems with privacy. The most natural way of increasing the incoming light for a brighter home is of course to replace the existing windows with new ones with cleaner design and more glass surface. Here you have a variety of choices. 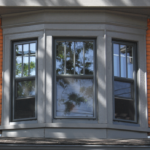 The most obvious way is to replace your windows with taller and wider option like bow windows, bay windows or large picture windows. You can also consider cutouts to create new openings where these do not currently exist. Another possibility is to convert a window to a door or vice-versa. Such projects must consider the position of any load-bearing walls and should only be handled by professionals. If that isn’t feasible, you can add additional smaller windows. If they are placed higher up the wall, then they will better capture sunlight. You may also consider adding windows in rooms that are often built without them such as attics, bathrooms and raised basements. 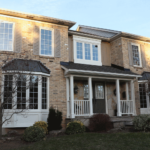 In basements, larger windows may go below grade and require wells to be made. Not every contractor will handle such projects but Arcana Windows and Doors is skilled in handling such special projects. Perhaps it hardly needs to be said, but the most successful results will be obtained by a careful combination of renovation and decoration. You would be well advised to set out your project plan on a sheet of paper so that you keep in mind everything that will be done. A home interior designer, a renovation contractor or a windows and doors contractor will be able to give you helpful advice on how you can best achieve the brighter home you are seeking.